Chicago, IL – The Chicago Radiological Society will honor Abraham H. Dachman, MD, FACR, FSAR, Professor of Radiology, University of Chicago Medicine, with the Distinguished Service Award, the highest honor the Chicago Radiological Society can bestow upon a member. The Distinguished Service Award, or Gold Medal, will be presented to Doctor Dachman at the February 21, 2019 CRS Meeting, recognizing his many years of service to radiology as well as his leadership in organized medicine on both the state and national levels. A native of Brooklyn, Doctor Dachman received his undergraduate degree in 1974 from the Yeshiva University in New York and his medical degree in 1977 from the Albert Einstein College of Medicine. Following an internship in Internal Medicine at Brookdale Hospital and Medical Center in Brooklyn in 1978 and a Residency in Diagnostic Radiology at Montefiore Hospital and Medical Center in the Bronx in 1981, Doctor Dachman completed a one year Fellowship in Gastrointestinal Radiology at the Armed Forces Institute of Pathology in Washington in 1982. Doctor Dachman started his career at the Department of Radiology and Nuclear Medicine Uniformed Services University of the Health Sciences in Bethesda, serving as Instructor from 1981-82, Assistant Professor from 1982-86, Associate Professor from 1986-1991 and Professor from 1991-1993. During this time, he was Chief of Gastrointestinal Radiology at Walter Reed Army Medical Center. In 1993, he moved to the University of Chicago where he served as Chief of Abdominal Imaging and Director, Computed Tomography. In 2002, he was awarded full Professorship and named Director, Fellowship Programs, a position he holds today. Doctor Dachman is a nationally-known specialist in abdominal imaging serving as an Abdominal Imaging radiologist member of The University of Chicago Medical Center Cancer Research Center with interest in the use of imaging to follow solid tumor response to therapy. He is the radiology representative on the GI oncology interdisciplinary team and has done research on tumor volume. He is known for his expertise in using virtual colonoscopy, also known as CT Colonography (CTC) to create 3-D images of the colon and other abdominal structures to give physicians an additional valuable tool to obviate some invasive procedures. Doctor Dachman has focused on CTC research since its inception in 1994, with early basic research, clinical research, clinical trial design, teaching and advancement of CTC in organized medicine. He participated in developing CTC software, the CTC insufflator and has focused the last several years on computer aided detection. He participated in CAD software development at the University of Chicago in collaboration with computer scientists and is co-patent holder on the product developed. In collaboration with iCAD, Inc., he lead the first large multireader, multicase clinical trial on CTC CAD that led to an FDA approved product. He most recently studied the clinical features of observer CAD false negative and false positive interpretations. 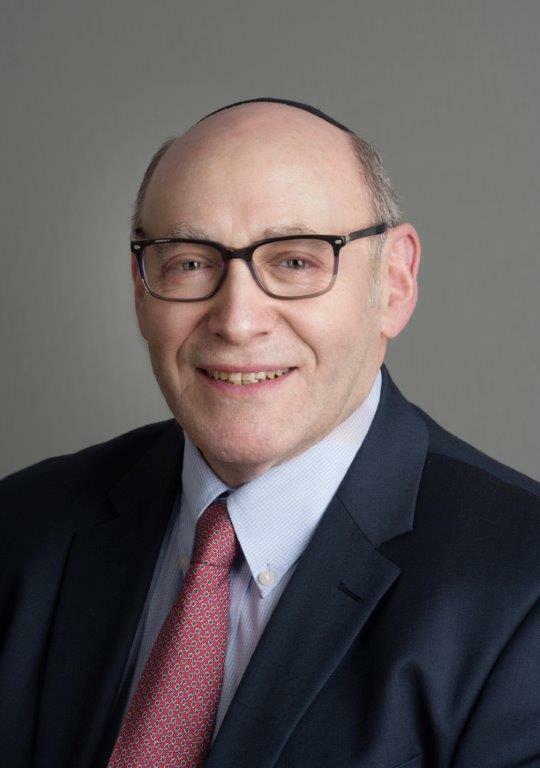 An active researcher, Dachman is author of the first text on the subject, The Atlas of Virtual Colonoscopy and recently released the 2nd edition, and has authored over 80 publications or book chapters on CTC and 120 peer-reviewed papers on abdominal imaging. He has been a participant and on the planning and publication committees for the ACRIN retrospective trial, the ACRIN prospective trial, the Rockey trial and the iCAD MRMC trial. He shares his knowledge through courses for radiologists who want to learn how to read virtual colonoscopy studies and has given presentations at dozens of scientific meetings. He organized a unique curriculum of intensive 2-day seminars to teach virtual colonoscopy and has taught over 35 such courses since 2003. Doctor Dachman has trained the technologists at the University of Chicago in the performance of CTC and has developed an on-line teaching simulator for technologists under an educational grant from the RSNA. In 2000, Doctor Dachman was elected a Trustee for the Chicago Radiological Society becoming Vice President and Program Chair in 2003. He became CRS president in 2005 and has since chaired the CRS Nominating Committee and Distinguished Service Committees. He also served as an Alternate Councilor and Councilor for the American College of Radiology representing the Illinois Radiological Society. For his service to the ACR and his local chapters and to related organizations, Doctor Dachman was awarded Fellowship in the ACR in 2003. Doctor Dachman has volunteered his time and talent extensively, holding leadership positions and accepting assignments in many other medical and radiology organizations. He was designated Distinguished Scientific Advisor for the RSNA Research and Education Foundation in addition to many other roles. The Society of Abdominal Radiology awarded him Fellowship (FSAR) status in 2014. He is also active in the American Roentgen Ray Society, The Association of University Radiologists, and the European Society of Gastrointestinal Radiology. Doctor Dachman and his wife Yisraela enjoy traveling, hiking and visiting grandchildren. Their blended family consists of seven children: Toby, Yitzy, Laya, Steven, Jonathan, Rachel and Eliana.